We all want the best for our loved ones, but for many families, senior care is a sensitive and difficult topic to address. Often, families decide that their loved one needs more constant medical care than they are able to provide at home, and a nursing home can offer the attention they need. But nursing homes don't always come without risk. A national non-profit group, Families for Better Care, recently released nursing home grades for each state. Though 10 states did receive "A's," 11 states received "F's." While these grades aren't comforting, they do show that the quality of nursing homes varies. Our law firm understands that planning for the future isn't always easy, and so we compiled some basic guidelines to help you and your family find a safe, comfortable nursing home for your loved one. Learn about options close to home. The closer family and friends are to the nursing, the more often your loved one will have visitors. Remember that some nursing homes will be more expensive than others. Find out about basic fees for rooms, meals, and care, but also for extra charges such as beauty shop services so that you're able to budget for the best care. Know your timeline. If your loved one is due to be released from the hospital, you may need a nursing home with a room immediately available. If you have another on-going care system, you may decide you have more time to search. Do residents appear happy and engaged, or do they appear drowsy and overmedicated? Is the nursing home well-kept and comfortable? Does the staff maintain warm, polite, and respectful relationships with residents? Is there a licensed nursing staff 24/7, including a Registered Nurse (RN)? Is the residence prepped for a fire and other emergencies? Can the nursing home provide for special dietary needs? Can residents, including those who do not have full mobility, partake in a variety of activities? While you're visiting, don't be afraid to speak with other families. Most families are more than happy to share valuable, honest opinions and advice with others in their same situation. 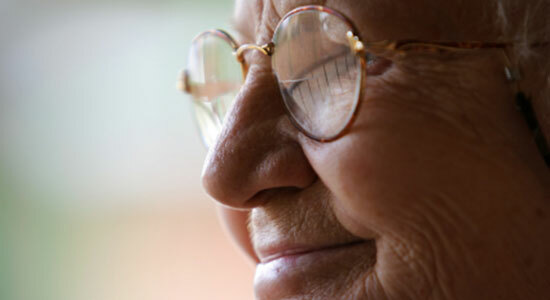 For a more detailed nursing home checklist, visit our Choosing a Nursing Home page. "Your Guide to Choosing a Nursing Home." Centers for Medicare & Medicaid Services. "Eleven states get failing grades for nursing home care." CBS News. August 9, 2013.